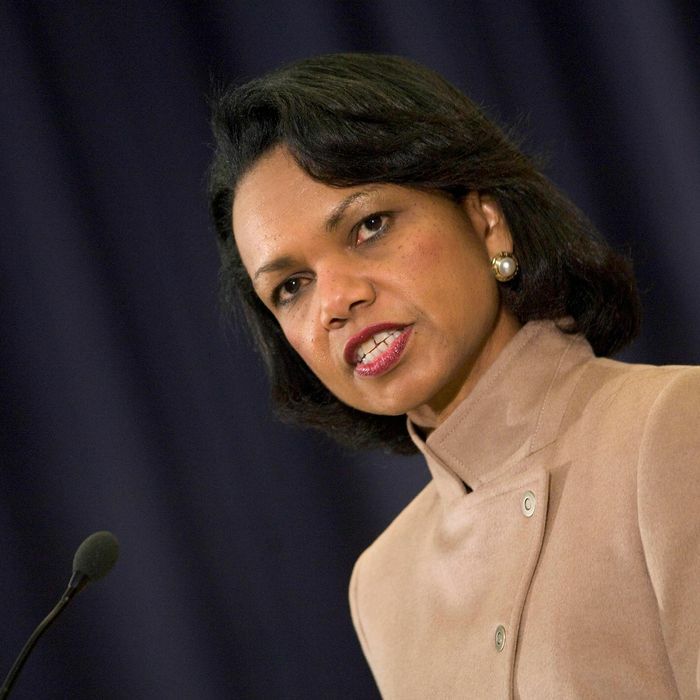 The Rutgers University protesters who didn’t want Condoleezza Rice speaking at their commencement this year because of her role in the Iraq War will get their way. On Saturday morning, the former secretary of State took to her Facebook page to say that she will not be in New Brunswick on May 18: “Commencement should be a time of joyous celebration for the graduates and their families. Rutgers’ invitation to me to speak has become a distraction for the university community at this very special time,” she wrote. “As a Professor for thirty years at Stanford University and as its former Provost and Chief academic officer, I understand and embrace the purpose of the commencement ceremony and I am simply unwilling to detract from it in any way.” She also won’t be getting the $35,000 payment she had been set to receive for her appearance.